Roger Hill Yacht Design is a prominent multihull designer from Auckland (NZL) who continues to produce designs that are aesthetically pleasing and practical whilst maintaining their hydrodynamic efficiency. 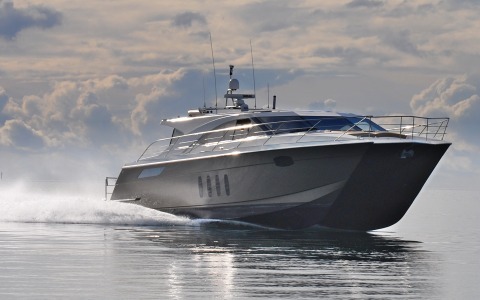 Clever Fox Projects has been involved with providing the composite engineering design and build solutions for some of RHYD’s wide variety of creations. 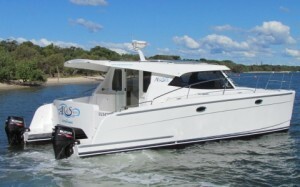 Some of the noteworthy composite engineering design projects completed include a custom Hill 13m carbon fibre power catamaran for Pacific Island cruising, the Balance 451 production sailing catamaran, the Argus E35 (pictured left) production power catamaran and the ArrowCat 42 production power catamaran. 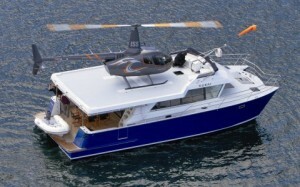 We have also provided engineering solutions for the striking cabin top skylights in the power cat Voodoo (pictured middle) and a composite helicopter landing deck for the power catamaran Kukai (picture right). © 2013 Clever Fox Projects All Rights Reserved.